It is pretty cold outside these days. So we looked for something hearty and warm and something we could cook inside. This time we are not using the Big Green Egg but very good none the less. Perhaps in the future, we could sear them on the egg to add some smoke but either way, it is really really good as it is. 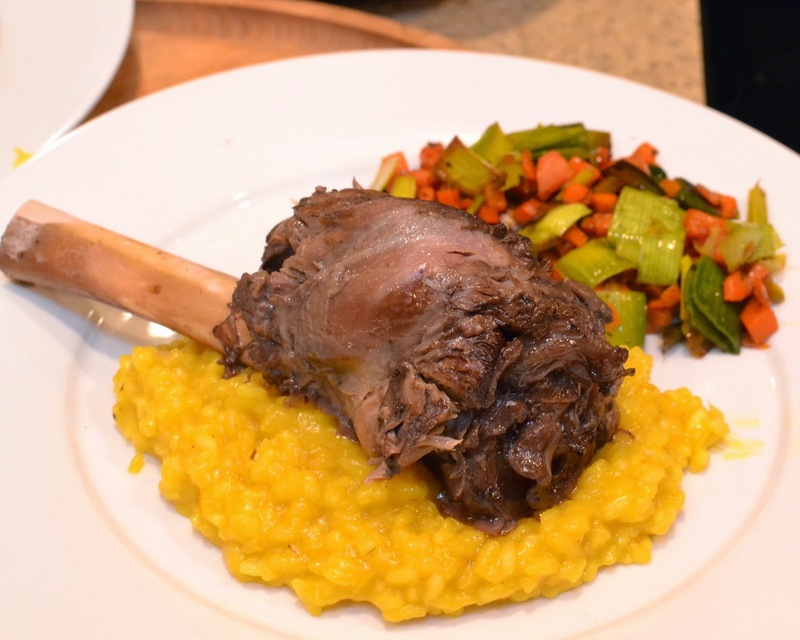 We made this for a recent dinner party and it turned out; as a bonus the meat is relatively inexpensive and flavorful. We bought the lamb for about $10 a pound and served 4 with 4 pounds. Obviously, we are approaching valentine's day so if you decided to tackle cooking a great meal to show your love, this is an excellent choice. 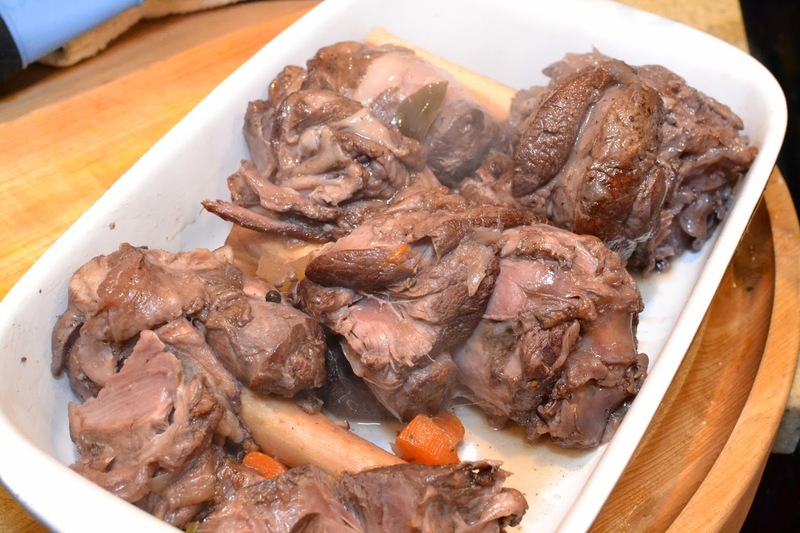 What could be better than slow cooked red wine lamb? Anyone can make this and it is oh so impressive fellas. We followed this process thank you Food & Wine. This serves four people with at least one meals worth as leftovers. Guys, divide by two if you are making this for your valentine unless you have 3 valentines. If that is the case, then congratulations? and get some rest. 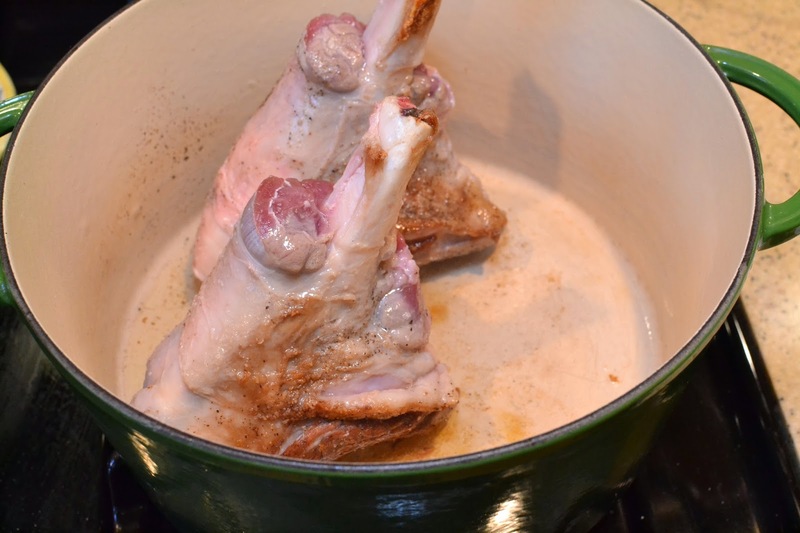 4 - Bone-in lamb shanks. 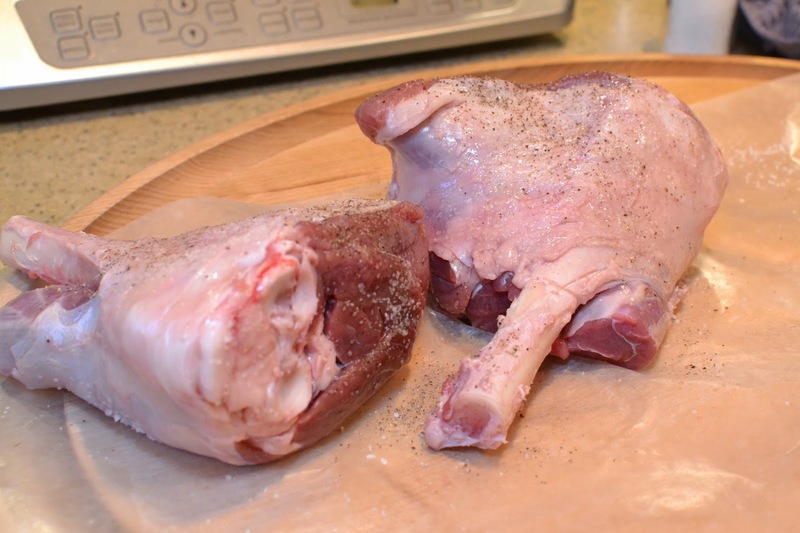 We will brown the lamb, bring it to boil and then into the oven for about 1.5 hours at 325. Let us get fancy and french the bone on the shank to expose the bone. Then heat up the dutch oven with oil so we can brown the meat. Include some salt and pepper. 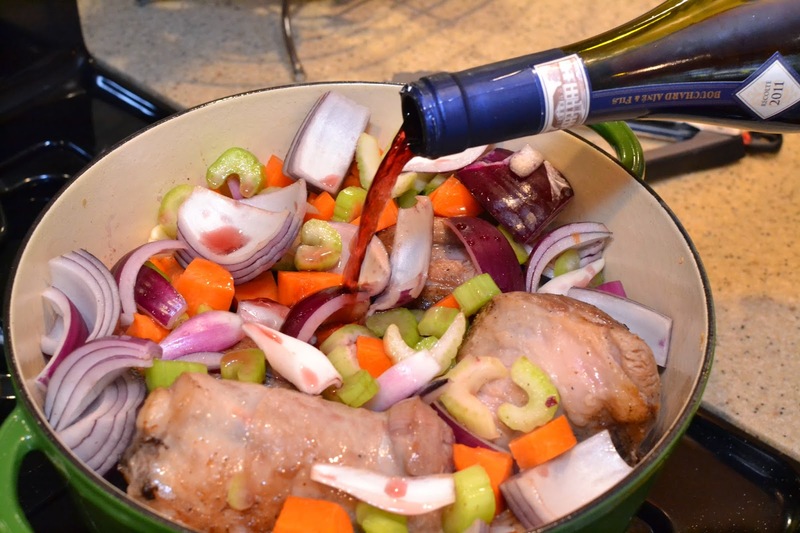 Once browned, add the vegetables, the wine, salt, peppercorns, and bay leaves and bring to a boil. 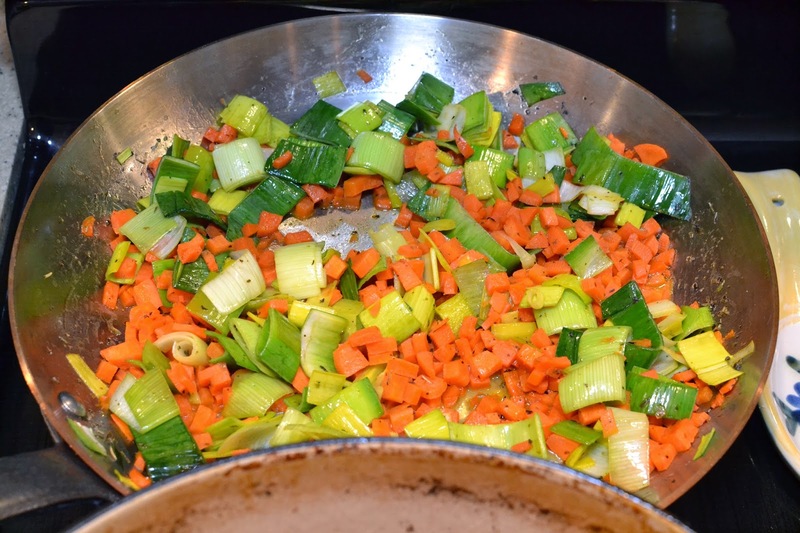 After boiling, add the stock, put on the lid, and place in the preheated oven. How simple? 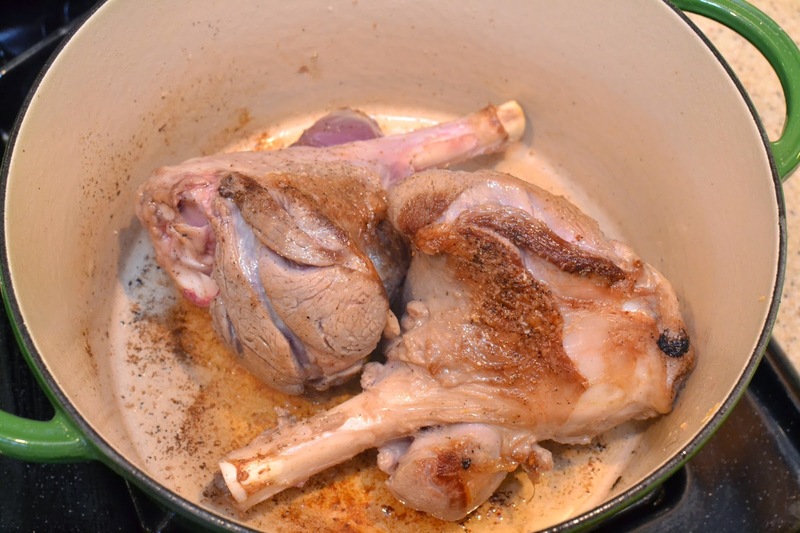 An hour and a half later, separate the meat from the cooking liquid. 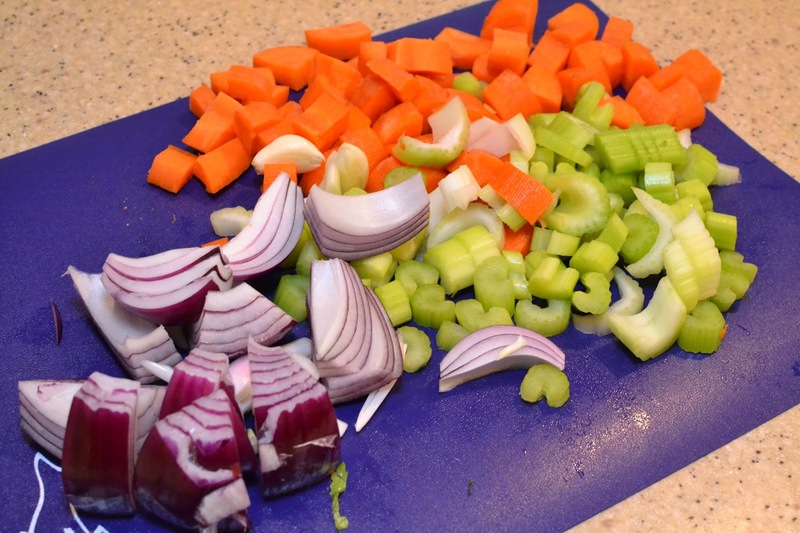 We also made a vegetable side and a risotto similar to that link. It was excellent, fork tender. We will be making this one again. Simple and delicious, it was a big hit. Thank goodness it turned out because we made this for dinner guests and just hoped for the best. The backup plan was pizza.